Persian gardens and tribes were referenced in particular and fresh henna, peachy rose and gold were some of the delicious colour combinations. 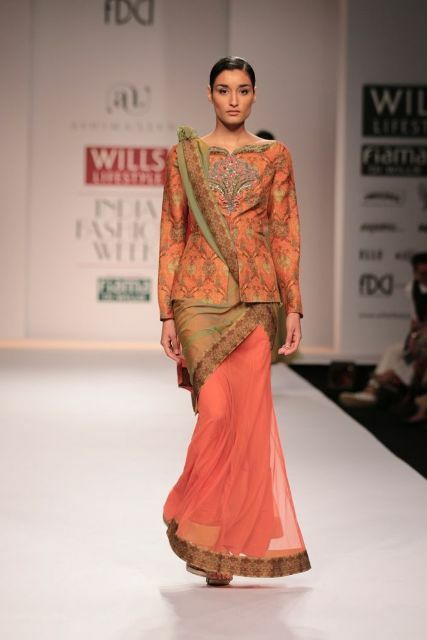 Silhouettes included a fresh take on a sari but the designers included their signature looks in the form of billowing chiffon dresses and skirts. A beautiful and feminine collection.